Perfectly sized to fit smaller fireplace openings, the FV33i still provides a viewing area that's 30% larger than comparably sized insert designs. 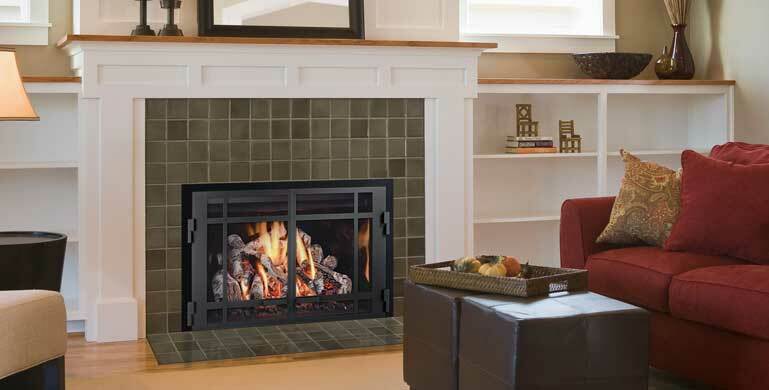 Like its larger cousin above, the authentic FullView fire is fueled by Mendota's high efficiency BurnGreen™ system, offering moderate heat output from 31,000 to 10,000 BTUH. 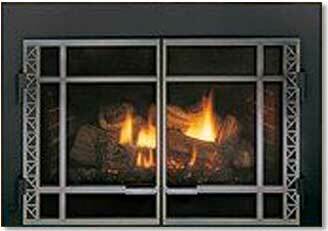 And what better way to frame your fire than with a choice of designer fronts and doors? Beautiful and highly efficient, the FV44i insert's huge, 600 sq. in. viewing area is ideal for taking in the realistic FullView log fire. The BurnGreen™ burner provides an impressive 40,000 to 15,300 BTUH, allowing you to adjust the heat to your comfort and still enjoy a full flame, even on low. Its size and generous heat output make it a particularly good choice for large rooms or rooms with tall ceilings or lots of windows.